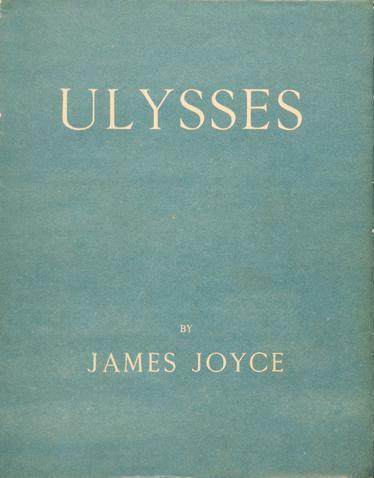 Ulysses (1922) is considered by many to be the finest and foremost modernist novel ever written. On the surface, the book simply follows Leopold Bloom, during an ordinary day in Dublin, on June 16, 1904. Bibliophiles celebrate "Bloomsday" by reading it in its entirety on this anniversary date. Joyce's most well-known novel remains firmly ensconced at the top of The Modern Library's 100 Best Novels of the 20th Century . Ulysses parallels Homer's epic poem, The Odyssey in its characters and events. The novel was originally serialized in America in The Little Review from March 1918 to December 1920, before being published as a novel in 1922. Loading the book with experimental prose and following a stream-of-consciousness approach, Joyce adopted a rather cheeky attitude. Published without much structure, in just three parts, the book presented an often confusing read. Joyce himself declared that he had, "put in so many enigmas and puzzles that it will keep the professors busy for centuries arguing over what I meant." Though not included in the original text, later editions structure the novel into eighteen episodes. The text presented here follows the episodic structure from the Linati and Gilbert schema). Every episode has a thematic character correspondence to Homer's poem, The Odyssey ; Leopold Bloom to Odysseus, Molly Bloom to Penelope, and Stephen Dedalus to Telemachus. Return to the James Joyce library.